Because Cy’s professional and social life intersected in so many ways with others in New York’s cabaret/café society, it was inevitable that he would be mentioned in various writings that chronicled the time, or, for that matter, the musical genre. Included here are relevant excerpts from a number of literary works ‑‑ of a most varied nature ‑‑ where some refrence to, or discussion of, Cy appears. An alphabetical listing of all members of the American Society of Composers, Artists and Publishers, with a short listing of their achievements. Oddly enough, ASCAP has here failed to get both Cy’s date of birth (16 September 1915) and date of death (18 August 1968) right. The erroneous reference to Cy’s being born in 1925 apparently initially spread beyond this entry to other organizations’ records on Cy, including that of the Library of Congress'; but thanks to the advent of Internet communications, most now know Cy’s correct birth year as 1915. A biography of the composer with extensive bibliography, with two separate bibliographic entries for Cy Walter. Biography of the famous composer/songwriter. 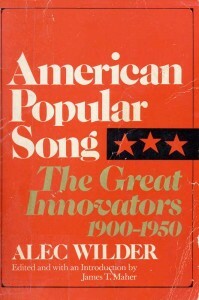 An analysis of the popular song music genre in the first half of the 20th century by the prominent composer and songwriter. Cy Walter is mentioned in the entry on Cole Porter. The American Music scene, through the famed critic’s portrayal of the careers of 27 singers, amongst which are two dear friends of Cy’s: Mabel Mercer and Bobby Short. Excerpts relevant to Cy are included here. A catalog of all the big bands, including that of Eddie Lane’s, the one that Cy Walter for which Cy played when his New York career began. Autobiography of the famous singer/nightclub hostess. The Three Deuces and Tony’s in pre-war New York nightlife. Autobiography of Eileen Farrell, whom Cy accompanied. She also relates of Cy’s accompanying Mabel Mercer. 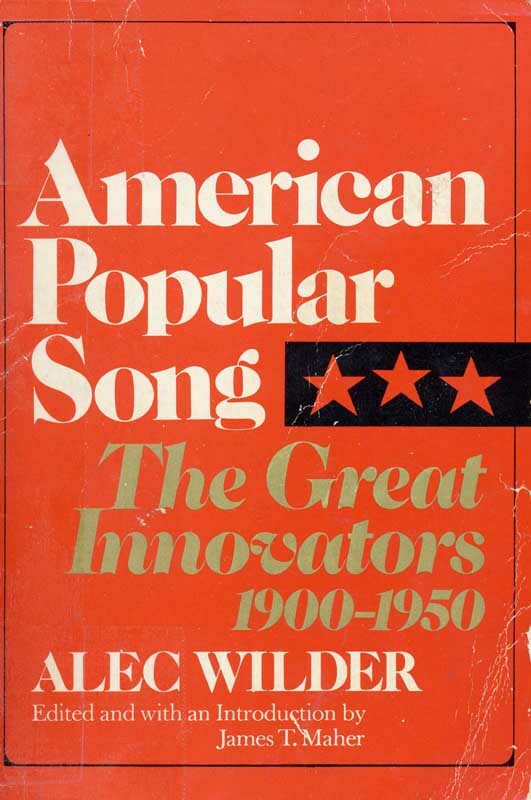 Analysis of the popular song in America in the last half of the Twentieth Century, with insightful discussion of Cy as a performer and composer. Stories of the rich and famous by the Algonquin Hotel’s owner. Cy Walter plays as Greta Keller sings. Autobiography of the musician and son of Eddy Duchin. History of the New York cabaret scene. The autobiography of Margaret Whiting. A biography of Mabel Mercer. Second volume of Mehegan’s study of jazz creativity. Fourth volume of Mehegan’s study of jazz creativity with accompanying e-mail from Lars Boye Jensen. Lurid ’50s novel, telling of the life of rich bohemians. They attend a performance of Cy Walter’s and Mabel Mercer’s. The great jazz critic on musicians and their stories. Biography of Mabel Mercer, to coincide with her centennial. Includes comments from Cam Walter. Autobiography of the noted singer/pianist/historian. An account of the starting and flourishing of Blueberry Farm. The authors decide to move to the country in spite of Cy Walter’s music. A photo album of old sheet music covers. A comprehenisve biography of the the great arranger, Nelson Riddle. A collection of Mr. Simon’s best writing from the pages of Metronome magazine, with a relating of Simon’s happy discovery of Cy’s artistry. The author relates how Cy Walter influenced his piano technique.